A sampler package of Almondia! 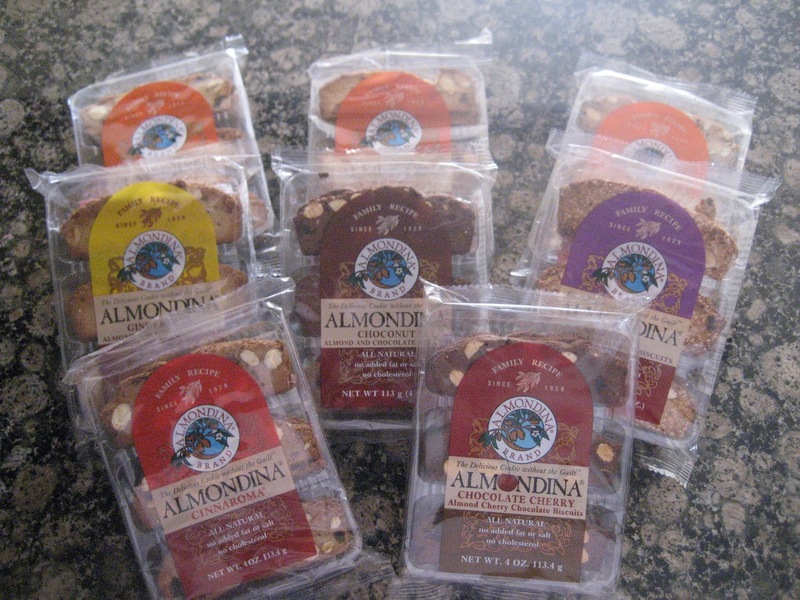 What is Almondina? It's a Delicious Cookie without the Guilt! A no added fat, no-cholestrol, no salt, no preservatives cookie. These cookies do not have to be dipped, they are perfect just to eat for a snack. The company has been around since 1929. Honestly it was the first time I had heard of them. Let's just say when I received the sampler package above, I was concerned, because I'm not a coffee drinker. So I had a plan to take these cookies to a women's retreat. I had decided I was going to take them and see how everyone else liked them with their coffee. However, with must persistence my daughter asked to try one. So I pulled out two, one for me and one for her out of the Ginger-spice Biscuits. Thirty minutes later I had to open a second and third pack for my other children as they arrived home from school. They were that good. We tired them with spreadable cheeses, dipped in hot Chocolate and in tea. We ate a lot of them straight from the package. Giveaway ends on November 24, 2012. Open to US residents only.